What's in store for South Africa's clothing stores? The future of local clothing retailers is looking positive, despite facing stiff competition from multinational brands. The same cannot be said for retailers abroad as new technologies have led to the possibility of e-commerce and automated delivery. This is the view held by Brett Kaplan, a retail consultant, during a talk he gave at the ATF Trade Exhibition held in Cape Town. In the past, Kaplan has worked for Woolworths as the managing director of clothing and general merchandise, helping it grow into the multinational retail giant that it is now. Kaplan highlights that globalisation is a trend that has swept across the southern hemisphere in recent years, opening up the market which was once dominated by northern hemisphere brands. “We all operate in one global marketplace, and there’s no place to hide in retail,” he says. Stores and brands such as Cotton On, David Jones and Country Road are expanding their operations in the southern hemisphere, and steadily moving northwards. On the other hand, northern hemisphere stores, such as H&M, have been shifting south at the same time. “With the growth of store footprint comes scale, and that allows retailers to expand their margins and significantly offer even better value to the customer,” says Kaplan. However, the retailer’s approach needs change when looking to enter new markets. South Africans look at clothing in a different way to Australians or Europeans, and therefore, the method of expansion needs to adapt to the new consumers’ tastes. Local clothing stores are facing increasing pressure from international brands that are dominating the South African market. H&M and Cotton On are popular brands in South Africa, squeezing out local competition such as Mr Price. Their source of foreign funding has allowed them to open hundreds of stores in rapid succession. Economies of scale, global sourcing and increased margins have allowed these internationals brands to undercut some of the local retailers, offering quality clothing at lower prices. “Local retailers are having a tough time. It’s a low growth environment with weak consumer demand. Local retailers are achieving at best single-digit growth, which might continue for some time,” argues Kaplan. Despite these challenges, the future looks positive for South African retailers and fashion brands. The up-and-coming black middle class (LSM 8 – 10) is becoming a major consumer that will drive sales and growth. LSM is the Living Standards Measure and has become the most common way to segment the market in a manner that cuts across race, age, gender or any other variable. It groups people according to their living standards, assigning numbers to these categories from 1 to 10. “The good news is that the longer-term demographic picture is somewhat more exciting and should assist in building the local economy as the growth of the black middle class gets growing,” says Kaplan. Local stores that target lower-income households (LSM 3 – 6), such as Pep and Ackermans, are also benefiting from the rise of the black middle class. 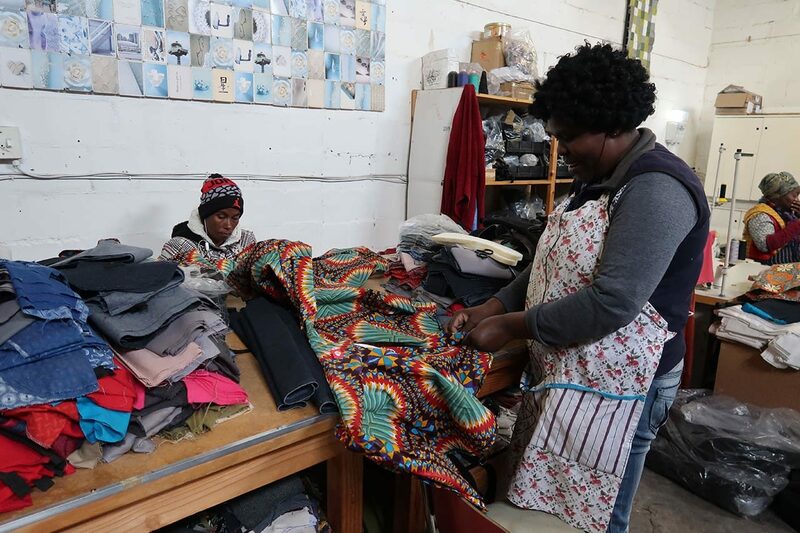 Unlike the e-commerce industry in Western countries, online shopping in South Africa is still a relatively small market, only accounting for 3% of the total clothing market. E-commerce is, however, growing rapidly and local websites are fast becoming major players in the local sector. Kaplan argues that stores and shopping malls need to become destinations. The V&A Waterfront, Melrose Arch and Sandton City have marketed themselves as places to spend a day, rather than shopping malls. The easiest way to do this is to attract quality restaurants and well-known fast food outlets that will encourage shoppers to stay longer as they can eat and drink. Top fashion brands are in hot water using Maasai prints. See why scuffed sneakers are becoming popular.